Some might say its death was long-overdue in an increasingly digital photographic world. Others continue to cling to it and bristle at the thought of having to change to newer imaging technology. 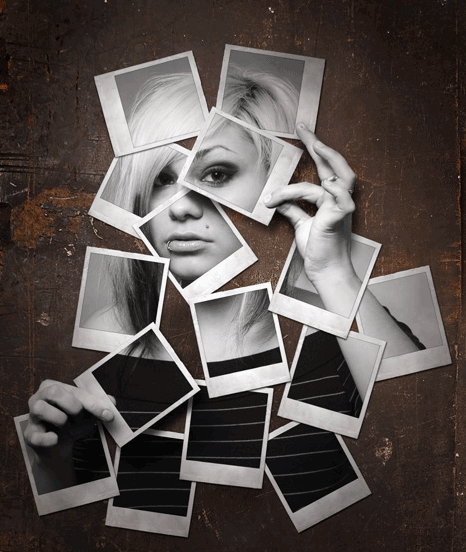 Regardless of what side you’re on, the demise of the Polaroid instant film format has been slow and tortuous. And even now, it looks like those thick, dvelop-before-your-eyes sheets are getting a breath of new life. December marked the final official production run of Polaroid film, with availability of Polaroid-manufactured film packs expected to dwindle by late 2009. And although Polaroid is trying to assuage fans of the format with a digital surrogate, the PoGo Instant Mobile Printer, There’s still a dedicated group of format zealots who insist that the format’s discontinuation will be a serious crimp on their artistic creativity. Most of them have congregated atSave Polaroid, a site where enthusiasts have hoped to either convince Polaroid that their business decision is unwise, or get some other manufacturer to keep making the film. Polaroid’s business case for dumping the format is based, of course, on its “instantness” being superseded by digital imaging. For the price of a couple of packs of Polaroid film, anyone can buy a basic digital camera that creates images of arguably better quality, and that’s assuming you don’t already have one built into your cell phone or other portabe electronic device. And in the time it takes to wait for a Polaroid to develop and the image to fade into view, a digital image can be on flickr, Picasa, Mobile Me or dozens of other sites, seen by anyone who cares to view it. Before you criticize: I agree, a cell phone camera or a $75 Walmart special isn’t going to give you gallery-quality photographs. But then again, neither will a Polaroid. I mean, really… in my childhood I was given a cheap drugstore 110-film camera that produced images way better than the bulky, expensive, handed-down Land Camera the parents brought out from time to time. Even before I got my photographic chops, I knew the images from the Polaroidwere embarrassingly bad. But if you wanted an image right away before the 1990s, well, that’s what you had to put up with. As a result lots of childhood photos and memories were recorded on those thick, white-bordered sheets. Perhaps I’m just a digital purist at heart, and that’s why the imperfections of Polaroid make it repugnant to me. But I’m just one viewpoint out of many, and the dedicated people at Save Polaroid find the idiosyncratic nature of Instamatic Film to be the very reason the format should be saved. I can’t argue with the convenience and clarity of digital imaging. I use my digital camera all the time. It takes beautiful pictures and I don’t have to worry about loading film. But of the thousands of digital photos I have taken in my life, 99.9% of them will likely sit on a hard drive as raw data for an eternity, never to be transferred to paper, displayed, or shared. With instant film you don’t get to make the choice of whether or not a picture is “good enough” to make a print. You get a print every time. You can’t just hit delete because someone was making a weird face, or the framing wasn’t quite right or in some way the image doesn’t live up to the unattainable idea of perfection we have all have in our heads from being exposed to too many Photoshopped images. The picture comes out no mater what. A point can be made here that some find artistic value in imperfection. This is the very foundation of Lomography – the “art” of photos taken on mediocre-quality cameras by amateurs, solely for the kitsch of the weird effects made by flawed optics. To some, the washed-out colors, poor image depth and sub-standard clarity of Polaroid instant film makes it a similarly accessible artform to the masses of shutterbugs who find it better than the challenge of making a good photograph on a good camera. Recent experiments and promising findings of the past few months have shown that existing components from other film products as well as new components CAN be adapted to create completely new types of high quality integral film. 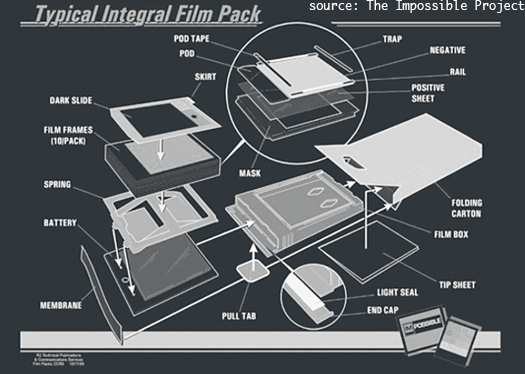 Impossible b.v. has exactly 12 months to research, experiment and develop new and better solutions for replacing/upgrading problematic/expensive components, and present a NEW Integral Instant film, ready for mass production at the end of 2009. Quite an ambitious charge. If they deliver what they promise, they may not only give new life to countelss Poalroid cameras in existence, but may even improve on the quality of the film stocks and images they provide. But, that also begs the question: if this new film is better than the old version, is it still the same?